Wislawa Szymborska, a gentle and reclusive Polish poet who won the 1996 Nobel Prize in Literature , died on Wednesday in Krakow, Poland . She was 88. The cause was lung cancer, said David A. Goldfarb, the curator of literature and humanities at the Polish Cultural Institute  in New York, a diplomatic mission of the Polish Embassy. 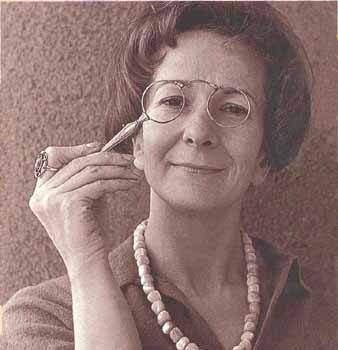 Ms. Szymborska (pronounced VEES-mah-vah shim-BOR-ska) had a relatively small body of work when she received the Nobel, the fifth Polish or Polish-born writer to have done so since the prize was created in 1901 . Only about 200 of her poems had been published in periodicals and thin volumes over a half-century, and her lifetime total was something less than 400. The Nobel announcement surprised Ms. Szymborska, who had lived an intensely private life. “She was kind of paralyzed by it,” said Clare Cavanagh , who, with Stanislaw Baranczak, translated much of Ms. Szymborska’s work into English.